Could Nutritional Therapy help you? Raising a family and running a business was starting to take its toll, by 3pm each day I felt tired and struggled through the rest of the afternoon – leading to late nights to catch-up on work after the children were in bed. I cooked healthy meals every night and was getting plenty of exercise but I felt I was not operating at my best and my weight was spiralling out of control. I got in touch with Liz for some help and advice. Liz ran through my food diary and we identified the peaks and troughs of my day – with just a few changes I experienced incredible results. Liz’s tailored approach made it really easy for me to incorporate her advice; quick, healthy, portable breakfasts I could enjoy on my way to work, nice healthy snacks that kept me off the caramel shortbread and ideas for protein-packed lunches – the 3pm slump disappeared within a few days and within a few weeks I felt my energy levels, stamina and outlook improve dramatically, and my confidence soared with all the weight I was losing! I asked Liz if she could help with my diet as I was eating a lot of junk and felt unwell and overweight with the food choices I was making. Growing up my staple diet was rice. Liz conducted a very careful and thought out program for me based on the problems I was having and the issues I was facing – I have lost over a stone and feel energetic enough to do regular exercise. I am really happy about how simple the whole process has been. Liz has been very supportive throughout the changes I have made, I would recommend her highly. It is no exageration to say that Liz Davis has given me my life back. When I came to her for help, my digestive system was a complete mess. I felt like I could hardly digest any food at all and thought I must have something seriously wrong with me. Liz calmed me down, listened to me and gave me easy to follow advice. She totally understood that, with three young children, I needed to have food options that were simple, filling and fast! It is truly incredible what a difference those few simple changes have made to my stomach. My days of stomach cramps are behind me, my clothes fit better and now I can enjoy my food again. I only wish nutritionists like Liz were widely available on the NHS, so everyone could benefit from her life-changing advice. Toxins – how they’re stopping you reaching your weight loss goals. 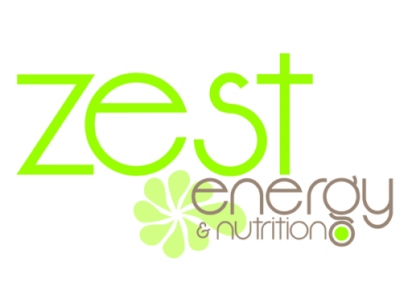 Zest Energy & Nutrition. © 2016. All Rights Reserved.